We have gotten many comments as to if this set will be available after SDCC. This is the answer. They will not. 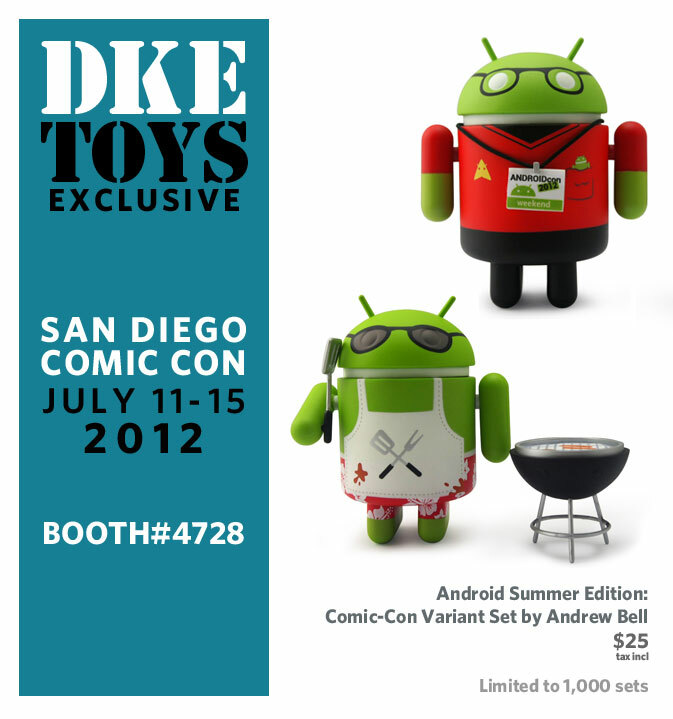 They will only be available during SDCC at the DKE Toys booth #4728. We wish we could help but if we make the exception for one person there are hundreds of others out there that we would have to do the same. There may be a regular version available through Andrew’s site http://shop.deadzebra.com/ but this SDCC version will only be available at the show. I can guarantee you that with 1000 pieces they will be all over the internet as soon as the show opens and I am positive that if you are patient you can get one at a fair price on ebay or amazon etc. Any word on Series 3? I thought these were supposed to be released 3 months ago? I’m holding my breath!